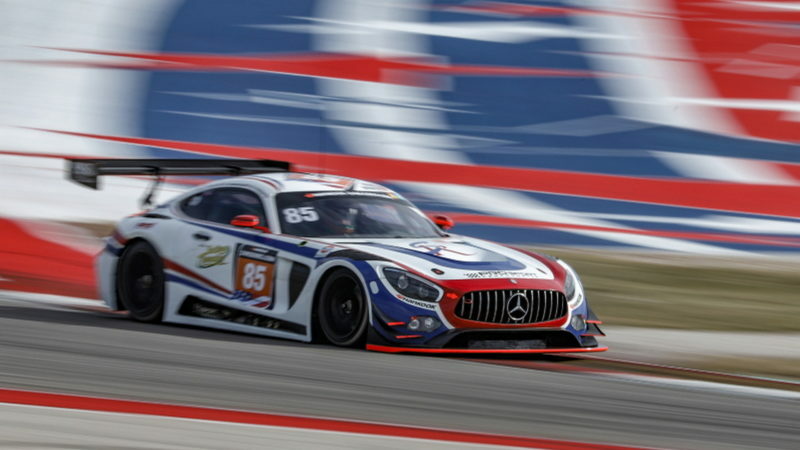 CIRCUIT OF THE AMERICAS (28 November 2018) – The PROsport Performance Mercedes-AMG GT3 (#85) and the Hofor-Racing powered by Bonk Motorsport BMW M235i Racing Cup (#131) have secured the Overall Teams’ Championship of the Continents in the GT and TCE divisions respectively in this year’s 24H SERIES powered by Hankook. 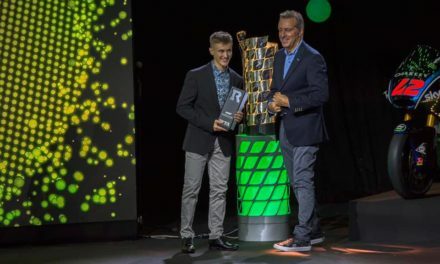 PROsport Performance, last year’s 991-class champion, secured its fifth consecutive A6-Am class victory of the 2018 24H SERIES powered by Hankook season at the Circuit of the Americas in Austin, Texas, and ultimately bested nearest rival Car Collection Motorsport (#34) by just three points in the final tally. 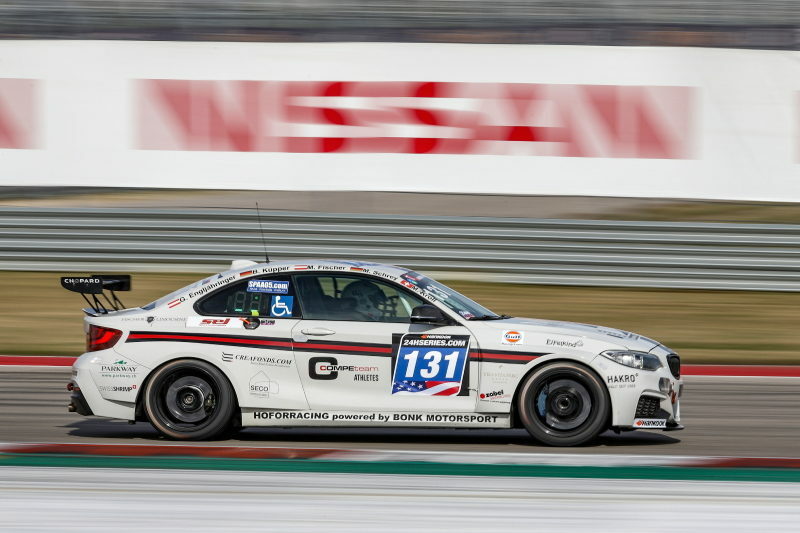 Hofor-Racing powered by Bonk Motorsport meanwhile (#131) took its seventh consecutive win in the 2018 24H SERIES at COTA, in the process securing the Overall Teams’ title in the TCE Championship of the Continents by an impressive 11 points over LAMERA-CUP (#238). Interestingly, both PROsport Performance and Hofor-Racing powered by Bonk Motorsport also claimed this year’s European Championships in the GT and TCE divisions respectively at the previous 24H SERIES round at Spa-Francorchamps. 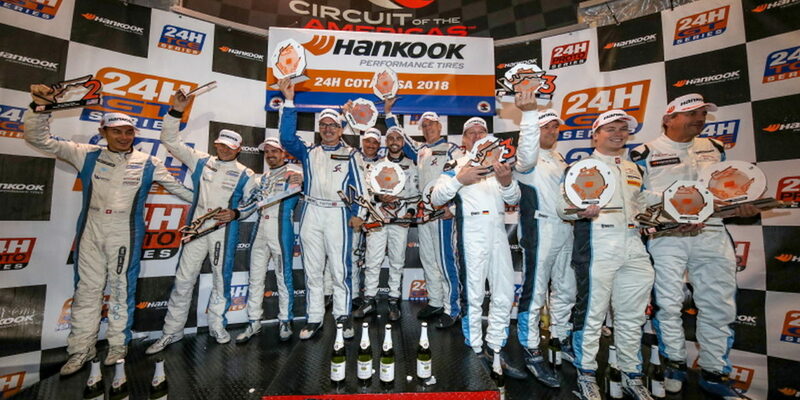 This marks the first time that two teams have won all four outright championships in the 24H SERIES powered by Hankook. Alongside the Overall Teams’ trophies, the #85 Mercedes-AMG GT3 and the #131 BMW M235i Racing Cup also secured the A6-class and CUP1-class crowns respectively. Bizarrely, however, neither outfit walked away with their respective Overall Drivers’ championships. Herberth Motorsport’s Robert Renauer and Ralf Bohn were ultimately crowned Champions of the Continents for GT Drivers by just two points over PROsport’s Charles Putman, Charles Espenlaub and Joe Foster, although the latter trio did secure the A6 Drivers’ title with 2018 teammate, Adam Christodoulou. Similarly, LMS Racing by Bas Koeten Racing teammates Antti Buri and Kari-Pekka Laaksonen ended the season three points clear of Michael Schrey, Martin Kroll, Bernd Küpper, Gustav Engljaehringer and Michael Fischer to secure both the Overall Drivers’ championship in TCE and the TCR-class honours. 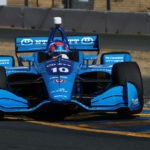 The Hofor Racing / Bonk Motorsport quintet did, however, take the CUP1-class drivers’ title, while Fischer also walked away with his second TCE Junior Cup of the season. Delving into individual class champions, the VDS Racing Adventures MARC Focus V8 (#58) added the SP2-class Championship of the Continents to its newly won European Championship after a hard-fought category win at the Circuit of the Americas. It was a result that also secured the SP2-class Drivers’ championship for Belgian teammates Raphaël van der Straten and José Close. A troubled race with Speed Lover (#78) was nevertheless enough to crown Pierre-Yves Paque the SPX-class Drivers’ champion for 2018. Despite enduring a tough race at COTA, the Perfection Racing Europe Ginetta G55 GT4 Evo 2017 (#239) was nevertheless able to secure the GT4-class crown in Austin, Texas, while Danish teammates Tommy Laugesen, Claus and Michael Klostermann, and René Rasmussen walked away with the GT4-class Drivers’ title. In the TCE division, both Team Altran Peugeots impressively managed to finish 1-2 in the category standings, although the #308 Peugeot 308 Racing Cup TCR would ultimately draw five points clear of the sister #908 entry come the chequered flag. LAMERA-CUP meanwhile (#238), despite falling short in the overall TCE standings nevertheless secured the SP3-class title, allowing teammates Fabien Delaplace, Laurent Piguet and Nicolas Beraud to take the SP3-class Drivers’ trophy. 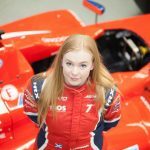 Having taken victory in SP2 at COTA, Einar Thorsen triumphed in the A3 Drivers’ standings, simultaneously allowing Cor Euser Racing (#71) to take A3 teams’ title honours. To celebrate a successful season finale at the Hankook 24H COTA USA, each class winner received a bespoke set of Gulf Racing Fuels cufflinks from the event’s official fuel supplier. 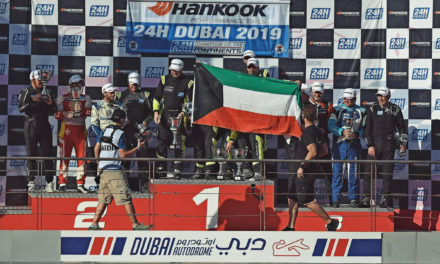 Next year’s Championship of the Continents gets underway at the 14th annual Hankook 24H DUBAI on 10-11-12 January 2019, just one week after the inaugural Hankook 6H DUBAI on 5-6 January. 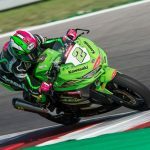 Just two months later, the 2019 European Championship is set to begin at the returning Hankook 12H MUGELLO on 29-30 March, just one month after the first-ever 24H MIDDLE EAST CHAMPIONSHIP takes place at the Dubai Autodrome and the Yas Marina Circuit in Abu Dhabi, UAE. The 24H SERIES powered by Hankook will once again draw to a close in 2019 at the Circuit of the Americas in Austin, Texas, on 15-16-17 November, a weekend that will feature not only the third annual Hankook 24H COTA USA, but also the first ever Hankook 6H COTA USA for GT and PROTO cars. Further information can be found at www.24hseries.com.